Many different social scientists have been challenged by the origins of wars, their immediate causes and the mechanisms leading to the breakdown of peaceful relations. Many have speculated whether conflicts were avoidable and whether alternative policies might have prevented conflict. 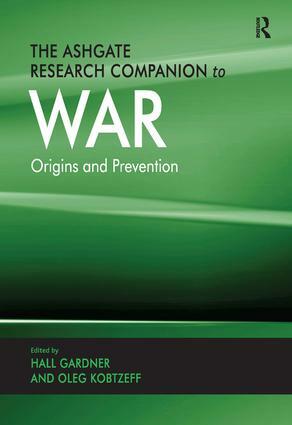 The Ashgate Research Companion to War provides contributions from a number of theorists and historians with a focus on long term, systemic conflicts. The problèmatique is introduced by the Editors highlighting the need for interdisciplinary approaches to the study of war as a global phenomenon. The following 29 essays provide a comprehensive study guide in four sections: Part I explicates differing theories as to the origins of war under the general concept of 'polemology'. Part II analyzes significant conflicts from the Peloponnesian wars to World War II. Part III examines the ramifications of Cold War and post-Cold War conflict. Part IV looks at long cycles of systemic conflict, and speculates, in part, whether another global war is theoretically possible, and if so, whether it can be averted. This comprehensive volume brings us a much needed analysis of wars throughout the ages, their origins, their consequences, and their relationship to the present. A valuable understanding that is ideal for social scientists from a variety of backgrounds.